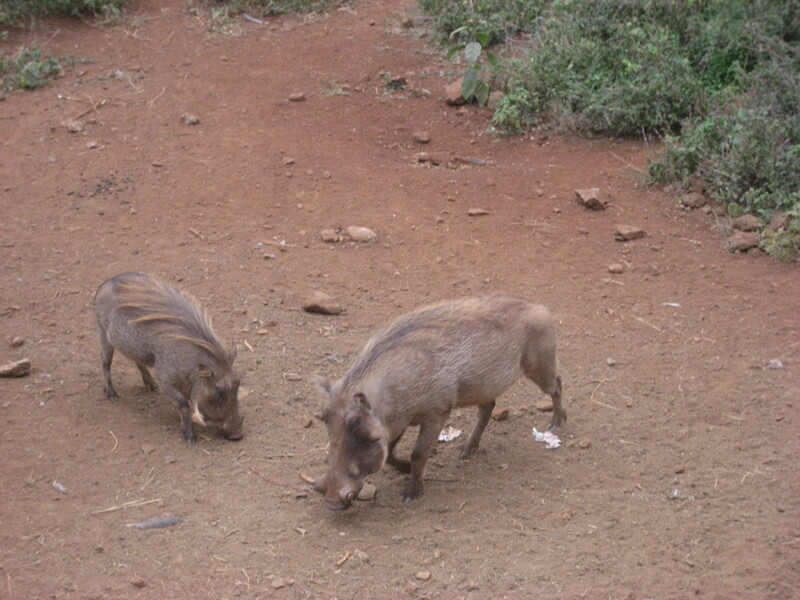 At the Nairobi Giraffe Center, it isn’t just the endangered Rothschild Giraffes that get fed, a healthy population of wort hogs lives on the reserve. It’s a bit far from the National Park, but after catching wind of the free food scheme, the wort hogs have taken up permanent residence. No food waste at the Center! 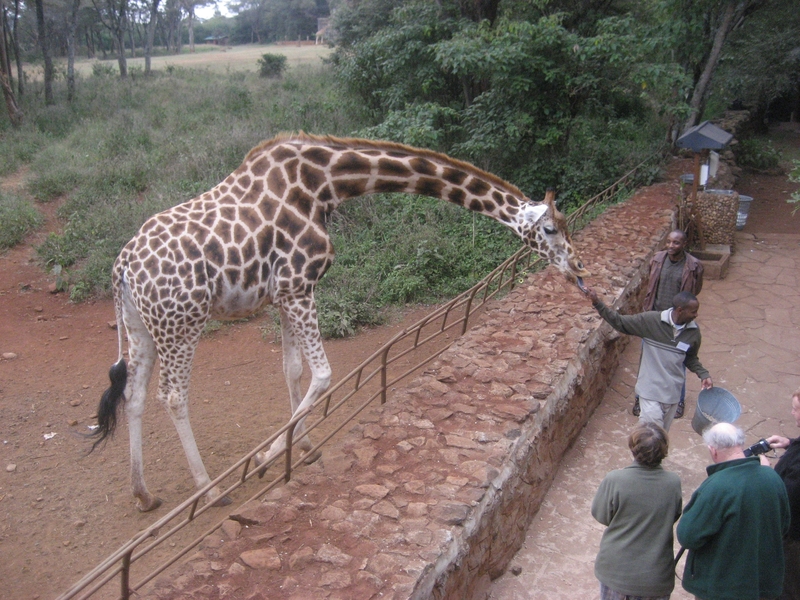 It doesn’t take a tall fence to keep giraffes in, their knees prevent them from being able to step OVER anything. 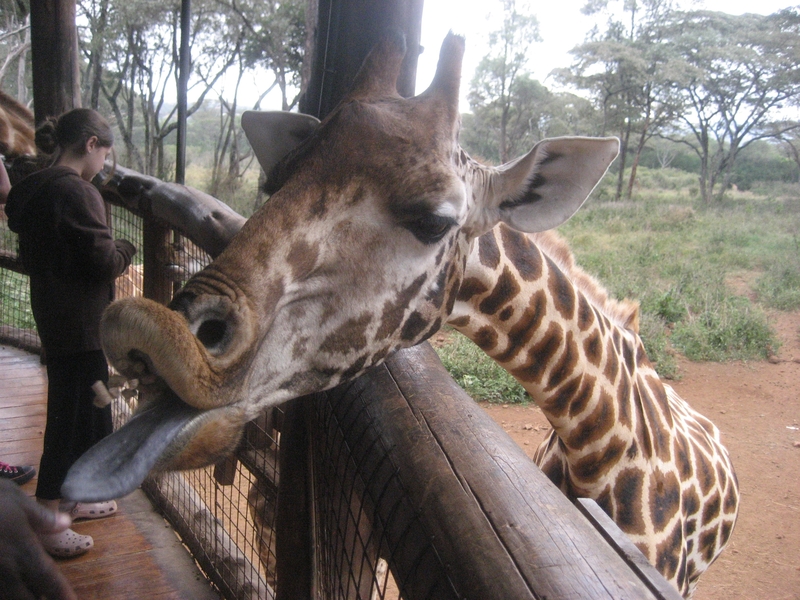 Among the fun facts I picked up on this only tangentially trash-related afternoon: giraffes sleep only half an hour a day, standing up with their eyes open. 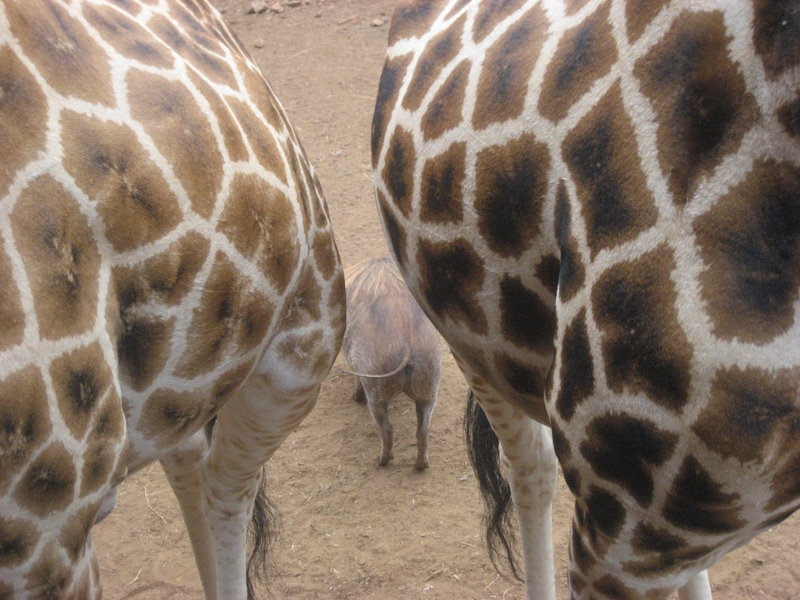 Wort hogs and giraffes hang out in the real world, as well. Giraffes have great eyesight and can see danger coming. Wort hogs can’t see anything if its not right in front of their faces, but can smell trouble coming that giraffes might not see. A happy pairing. Next week, back to the wonkier side of trash. This entry was posted on Saturday, June 28, 2008 at 3:34 am and is filed under Trash Politics. You can follow any responses to this entry through the RSS 2.0 feed. You can leave a response, or trackback from your own site.